Comments on tellows can be created on our desktop site, the mobile site, the tellows apps for Android and iPhone, as well as from our partner apps. Our tellows partners also use the tellows database and provide more information about unknown phone numbers. Would you like to become an App Partner? With our API, the tellows database can be integrated into any application. More information about our API can be found here: tellows API-Partnership Programm. The tellows – Caller ID & Block for Android offers a reliable spam protection and identifies unknown callers during the ringing. You can see more phone number details using the reverse search. 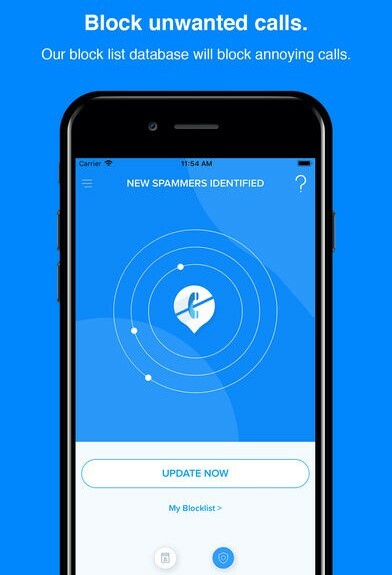 The premium feature enables you to block unwanted calls and use your personal blacklist. The Caller ID & Block identifies unknown callers and blocks spam calls. The reverse search helps to find more details about unknown callers and allows you to rate phone numbers. The app supports iOS 10 or higher. Identify and block unwanted calls. The #SCB app uses the tellows database to identify unknown numbers. Therefore spam numbers like robocalls, telemarketers and advertising can be identified before the user picks up the phone and saves you lots of time. If you have been bothered by a number that has not been reported, you can add it to your blacklist and report it to warn others about this number as well. Additionally you can put numbers on a personal whitelist. The app also allows you to filter and block incoming SMS messages. 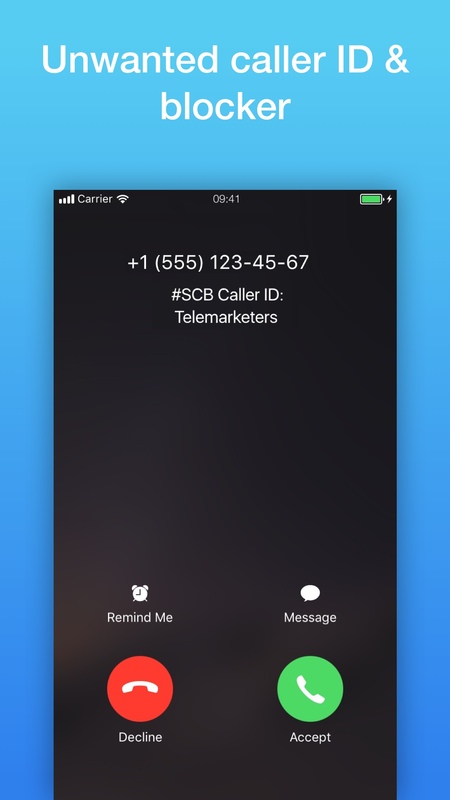 The Spam Call Protect & ID Blocker application can identify incoming calls by displaying the reported name, addresses and photos of the caller. Phone numbers of scammers and telemarketers can be blocked easily with its ID Blocker feature. You can have your own personal block list where you can simply add the numbers you’d like to block. The application also offers a function to identify and filter incoming SMS.